CAIRO (AP) — Tests showed that e.coli bacteria were behind the death of two British tourists in a hotel in Egypt’s Red Sea resort of Hurghada, the country’s chief prosecutor said on Wednesday. 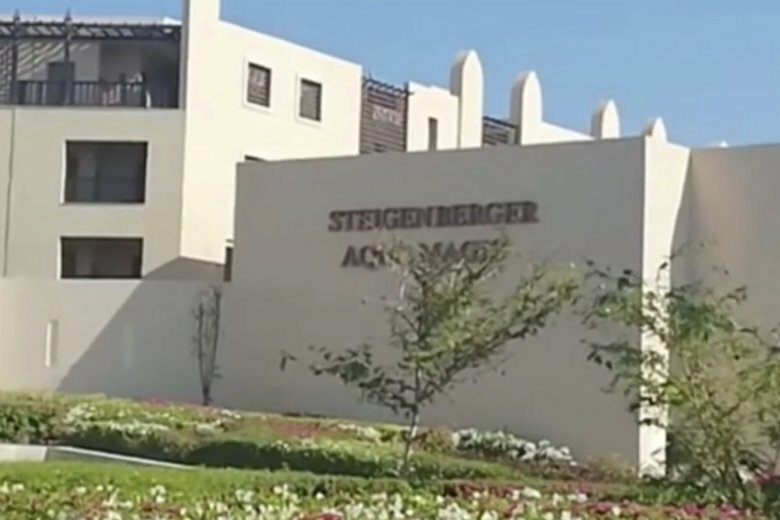 The statement by Prosecutor Nabil Sadek came a week after travel company Thomas Cook said that there was a “high level of e.coli and staphylococcus bacteria” at the Steigenberger Aqua Magic Hotel where John and Susan Cooper died Aug. 21 after falling ill in their room in the five-star hotel. Forensic tests showed that John Cooper, 69, suffered acute intestinal dysentery caused by e.coli, and Susan Cooper, 64, suffered Hemolytic-uremic syndrome (HUS), likely because of e.coli, Sadek said. He said that tests also showed no links between the couples’ death and the spraying of their neighboring room with lambda-cyhalothrin 5 per cent. The insecticide is safe to use, according to the statement. The couple’s bodies showed “no criminal violence” and other tests showed no toxic or harmful gas emissions or leaks in their room and tests on air and water at the hotel found nothing unusual, the statement said. There was not an immediate comment from the Steigenberger Aqua Magic Hotel. Thomas Cook meanwhile said it needs time for their own experts to review the prosecutor’s statement. Egyptian authorities have in August dismissed criminal motives as being behind the deaths. They said an initial medical examination of John Cooper showed he had suffered acute circulatory collapse and a sudden cardiac arrest. They also said Susan Cooper was later rushed to hospital after fainting and underwent resuscitation attempts for 30 minutes but died. Egypt’s vital tourism industry has been dealt severe blow due to political turmoil that ensued after a 2011 uprising that toppled longtime autocrat Hosni Mubarak. A 2015 Islamic State bombing of a Russian passenger plane over the Sinai Peninsula, which killed all 224 people on board, was among several incidents that led to the decimation of the country’s multibillion dollar industry. Russia subsequently imposed a two-year-ban on all flights to Egypt.